Here at Clark’s Quality Roofing we put the quality into quality roofing. We have over 30 years of quality experience in commercial flat roofs and 24/7 emergency repair services. Using only the highest quality materials and specially trained workers we make sure you have a quality roof. Over the last 30 years we have been part of some incredible projects. You may be familiar with the 2002 Winter Olympic Oval. We were honored to complete the roof on the oval and be part of the Olympics. We also did a massive job down in Arizona on the Arizona Center, a complex for shopping, restaurants, and offices. After a tornado in Salt Lake City hit the home of the Utah Jazz we installed a new roof that’s highly wind-resistant. A particularly enjoyable project was working on the Suva, Fiji LDS temple. The roof was inundated with leaking problems since it was built in 1990. CQR was able to determine and resolve many issues involved with the leakage. These are just a few of the many projects we’ve worked on. We do many jobs each year for smaller businesses, especially those that were installed by a different company. While a lot of people know us for our construction of new roofs, we do quite a bit of repair work. We have a unique 6-step approach to finding leaks. So many roofs are installed poorly which causes leakage, especially in early spring. Even if we didn’t install it we’ll repair your roof. We know that the roof is the most important part of your structure as it protects everything inside. Besides these larger projects we’ve installed more than 100 million square feet of single-ply roofing, we maintain more than 10 million square feet, and have completed more than 11 thousand projects nation-wide. 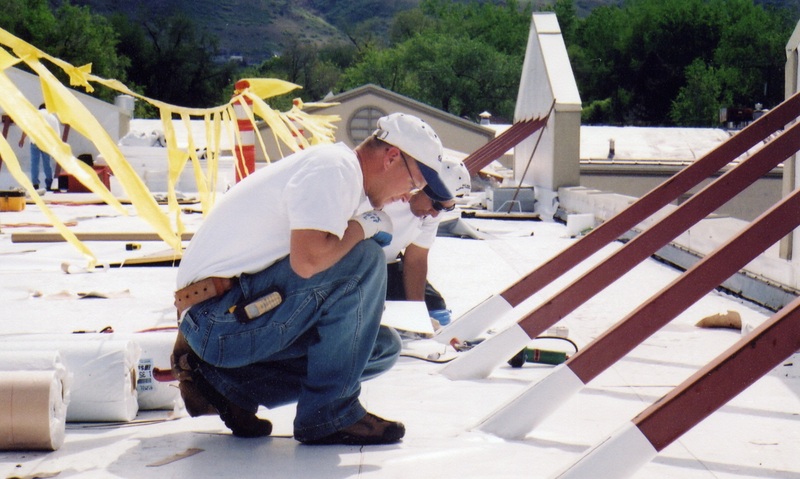 We work hand-in-hand with building owners, property managers, and contractors for commercial and industrial roofs. Our customers love us for our speed, efficiency, and innovative problem-solving all at a competitive price. We perform many roof-related and moisture-related consultations and inspections for contractors, building owners, attorneys, and others. Call us at (801) 266-3575 or email us today with any questions. We look forward to being your quality roofing company.